There are some days that just require carrot cake. I’ll admit that carrot cake is a pretty random craving but sometimes you have to just go with it. Listen to that little voice coming from your heart. It has only a 1/3 cup of oil. Really. What is the official criteria for low-fat? Whatever it may be, I’m going to say that that little fact (which you can keep to yourself) plus carrots equals low-fat in the mind of the Butter Me Up Brooklyn kitchen. The frosting was just the icing on the cake (boom – went there!) 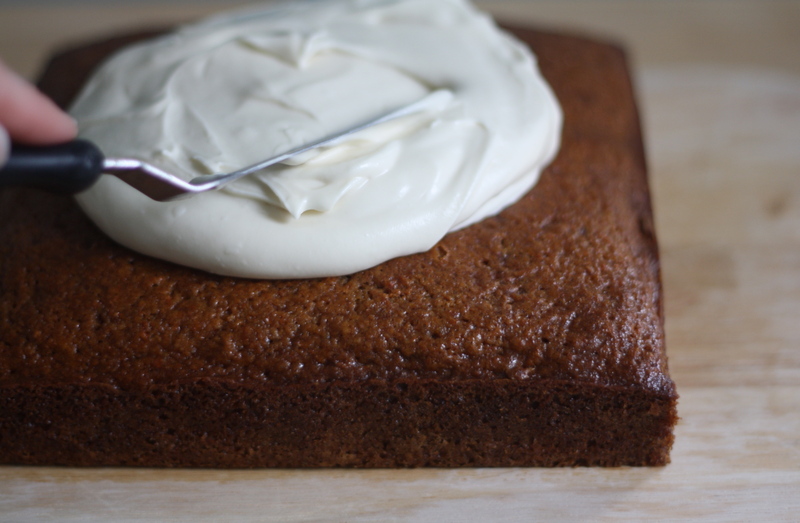 and as amazing as both this frosting is, and how well the maple and cream cheese flavor combination is, this cake really doesn’t need frosting. It’s got flava for dayz. 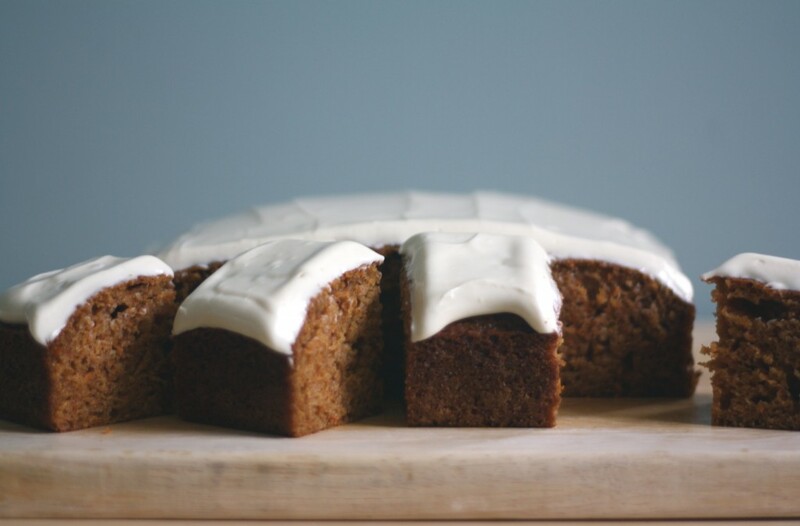 When my next carrot cake craving hits, I will be baking this in a loaf pan, finishing it with just a touch of powdered sugar, and having it for both breakfast and with afternoon tea. I will save the frosting for a special occasion, but let’s be honest, that’s not to say that a Thursday afternoon won’t count as reason enough to make cupcakes for a party of one. Preheat the oven to 350. Line a 8 x 8 pan with two sheets of parchment and butter the parchment. Set aside. 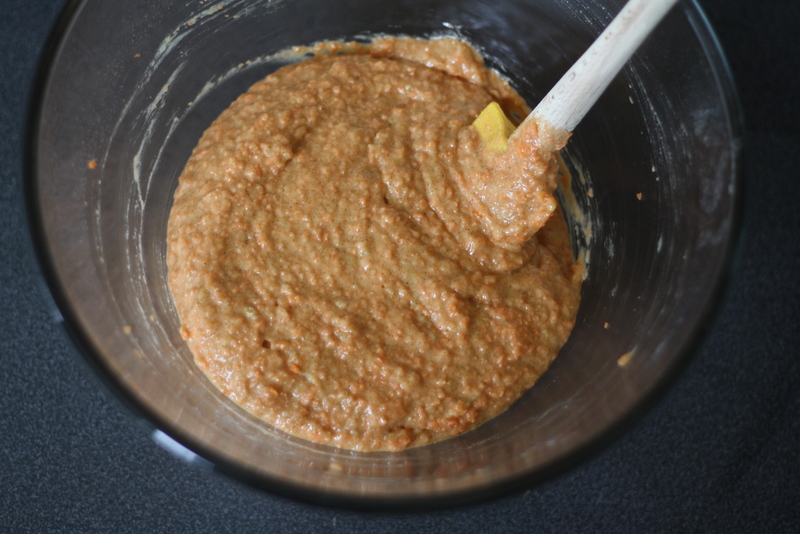 Whisk the flour, sugars, and spices together in a large bowl. 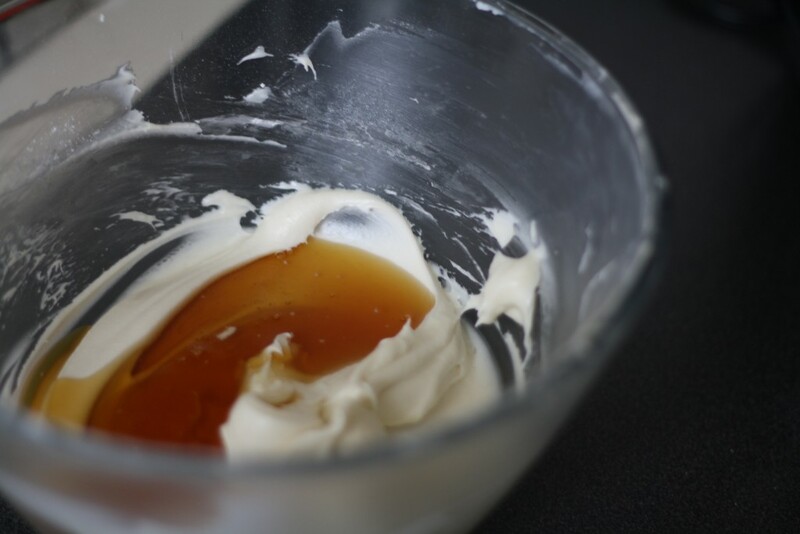 In a small bowl whisk together the oil, yogurt, eggs, vanilla bean seeds then add to the flour mixture and fold to combine. 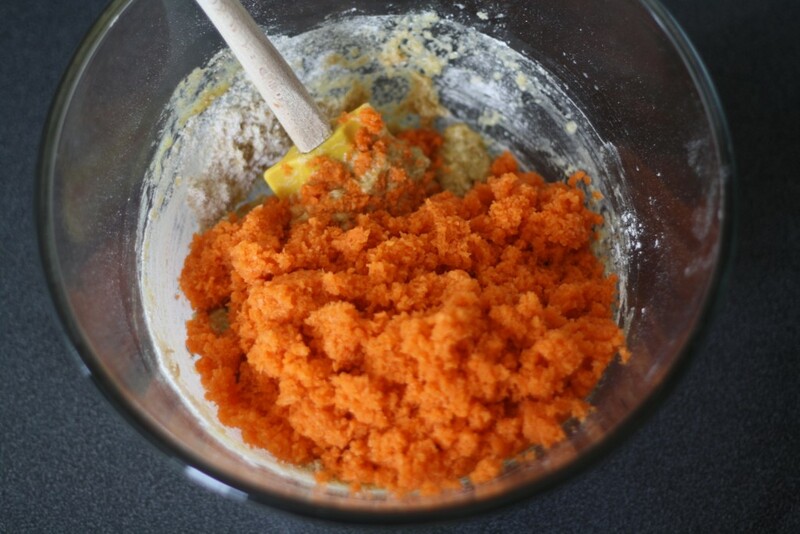 Add the carrots until fully incorporated. Pour the batter into the prepared pan and bake for 45 to 50 minutes or until a tester comes out clean. 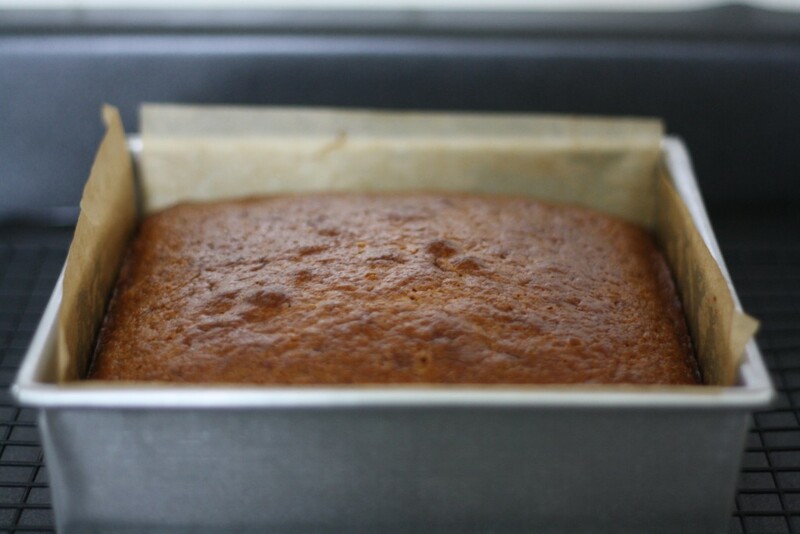 Let cool completely before frosting the cake. To make the frosting, beat the butter, cream cheese and powdered sugar together until smooth and well combined. Add the maple syrup and mix well. Refrigerate the frosting for about 20 minutes to firm it up a bit, then frost away! I’ve got visitors this weekend and was trying to think of something nice but not tooo sinful to have waiting for them when they arrive off the international red-eye. I think these will do the trick!